1 Where did you get the idea for Secrets? From a short story I wrote years ago. Secrets dominated my writing life for two years at least. I just couldn’t think of anything else. I tried writing in the third person and it wouldn’t gell until I tried the first person and it finally fell into place. I also originally wrote Secrets with a prologue but cut it out when writer friends told me it spoiled the suspense. 2 What have you found most rewarding bout your writing? I started trying to write a play, then short stories, then a Mills &Boon until finally I discovered what I really liked to write. 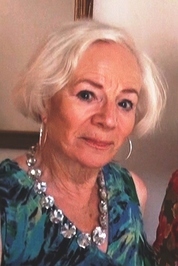 The critique’s from my friends in the writers group and the feedback from competitions by Romance Writers of Australia. Critiquing is invaluable. Exposing your story to other eyes can reveal problems as well as kudos. I’m editing a novel entitled “Never Look Back.” This is a suspense story about a woman who is being stalked by a psychopath. Take up lawn bowling or Macrame! Seriously, just keep slogging away, enter competitions, accept advice and opinions from other writers but stick to your guns if you have the conviction that it’s right. Write, write and write. Never waste time wondering what it must be like to be JR.Rowling. I love anything by Daphne DuMaurier, Ken Follett, Patricia Cornwell, Martina Cole, Kathy Reichs Frederick Forsyth, Kate Morton, Jane Austen, James Patterson, Sarah Rayne and heaps of others! Rosemary’s Romance Books Adelaide Street Brisbane. This excerpt from “Secrets” is from Chapter Three when Helen and Annie are still new VAD’s in the hospital. I grinned at her. One of the VADs who wanted to pep the place up from the routine and gloom had dared someone to do it. It sure did that. Outrage was the only way to describe Sister’s reaction when she clapped eyes on the defaced portrait. The rest of us were rigid with the effort to contain our laughter. ‘Why does she want to see me? Is my veil straight? Do I look presentable?’ Annie fiddled with her veil. She could not abide that square of starched white linen. Every bit of hair had to be covered and with her mane, it wasn’t easy, strands would escape here and there. Sister was always telling her off for sloppiness. ‘You look fine. Don’t worry, go on quickly or you will be in trouble,’ I said, and Annie left while I concentrated on the steriliser. She was often in trouble with the Sisters and Staff Nurses because she joked with the lads. We referred to them as lads because many were only around the same age as we were, nineteen or twenty. As we were not fully trained, we had the initials NA on the front of our apron. They stood for Nursing Auxiliary. Quick as a flash she replied, ‘Naughty Annie, of course.’ After that, they all called us Naughty Annie. Joe was always ready with a quick quip. Later we discovered he had interpreted the initials VAD as Virgins Awaiting Destruction. We missed him after he was discharged. ‘I mentioned it to Squadron Leader Wilson,’ I said, and told her the story. He had kept his promise to tell Matron some talented musicians were working on the wards. ‘Thanks so much, Hellie. You’re such a love. Let’s celebrate,’ Annie cried, and she did a soft shoe shuffle, before grabbing me and giggling together, we whirled around. There wasn’t much room and in our enthusiasm, we came a bit too close to an instrument trolley. As we danced past it, I bumped the corner with my hip and knocked an enamel bowl off, and it went clattering across the floor. ‘Stop this nonsense at once,’ snapped an outraged voice from the door. She was absolutely the worst sister that I ever had the misfortune to work with. Sister Marshall was just plain mean. She was thin and angular. Her legs were so skinny it was a wonder they supported her. Her bulbous blue eyes could freeze you to death with one glance. An incipient moustache made looking at her directly in the face, awkward, because no matter how you tried, your eyes always drifted towards that line of hair on her top lip. ‘You girls are an absolute disgrace. I should to send you to Matron but there’s too much to be done. You can both go on to floor polishing duty for the next week. Mind you behave yourselves or I will send you to her,’ she threatened. ‘It’d be a change from Bully Beef and Woolton Pie,’ she quipped. We laughed at the idea of the Minister for Food eating his pie. ‘Oh, Hellie, remember the apple pies my mum used to make?’ Annie said her face alight with memories. Visions of pies bursting with fruit and dripping with cream floated before my eyes. Although we laughed it off, polishing the floors in the wards was tough penalty for a small misdemeanour but that was Sister Marshall. I was sure she was the reincarnation of Charles Dickens character, Madam Defarge. In A Tale of Two Cities she sat by the guillotine knitting as the severed heads rolled into the basket. ‘We danced in the sluice room,’ Annie whispered. ‘Sister Marshall caught us in the act.’ I chipped in. ‘Is that a promise?’ I asked as the thought of being so close to him made me go quite shivery. ‘We’ll hold you to that,’ Annie said, in a severe tone. ‘You can bank on it,’ he replied and his merry blue eyes twinkled. My insides just went haywire. ‘Shush, here she comes,’ Annie muttered. I put my head down, and polished frantically, thinking, oh God; this is worse than school when the headmistress was on the warpath. 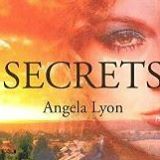 I enjoyed Secrets for its gentle style and historical setting. While reading it I explored the lives of young women in England during the Second World War, and although I wasn’t around then, I could relate to the era. Relationships stay the same whether in today’s world or back in 1940’s. I can recommend Secrets as an enjoyable return to the 1940’s and wartime England. This book is mostly about relationships and that’s my favorite reading material.